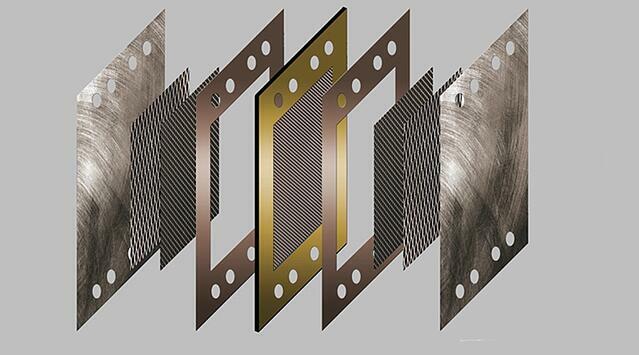 Versatile expanded metal foils for primary & secondary batteries, fuel cells, and electrolysis equipment. The electrically active material compromising the electrodes of most advanced battery designs are powders and require a mechanical support structure to hold them in place during the manufacturing process. 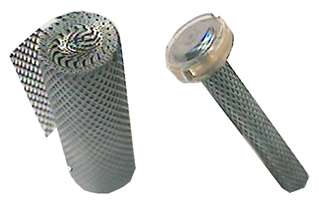 Our expanded metal foils are also used in the fuel cell and electrolyzer industries where it is required that electrodes allow the flow of fluids. The unique open-area geometry of our proprietary expansion process makes our materials well-suited to be used as the catalyst substrate or gas diffusion layer of these applications. Our MicroGrid® expanded metal foils are well-suited for a variety of power technologies. Expanded MicroGrid® material is configured to meet conductivity, strength, and weight requirements for each specific battery chemistry. 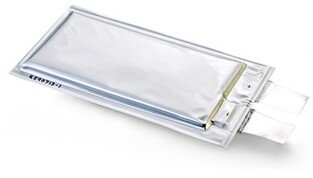 Engineers that use Dexmet’s expanded metal foils for current collector screens or as active material support structure significantly increase the active material density and electrode adhesion of their primary batteries. The ability to expand materials at 25 micron (.001") has opened the opportunity for advanced battery designers to utilize the benefits of expanded materials typically only seen in primary batteries. Expanding is the most economical way of creating an open area product from expensive and exotic materials. Dexmet can expand materials from niobium, zirconium, titanium and nickel to meet your stack requirements. The electrically active material compromising the electrodes of most modern battery designs are powders and require a mechanical support structure to hold them in place during the manufacturing process. This support structure also functions as a current collector and provides the electrical connection point for the external circuit. This data sheet provides the advantages of using an expanded product from Dexmet and the wide range of configurations offered. The new MicroGrid 25 aluminum and copper electrode materials have the potential to dramatically impact the performance and cycle life of secondary battery and supercapacitors. The 25 micron (.001") MicroGrid can have an approximate open area ranging from 40%-60% giving it the mass equivalent consistent with 10 to 14 micron solid foils. Learn more about how Dexmet's MicroGrid 25 materials impacting secondary battery performance. 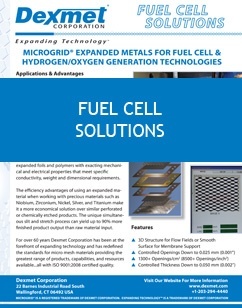 Fuel cells and other electrochemical applications require electrodes that permit the transverse flow of fluids. 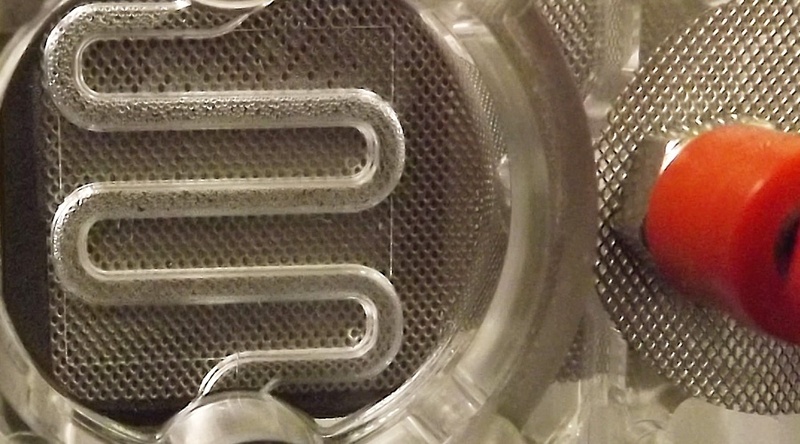 The unique 3D geometry that the expansion process produces makes it a perfect material for a catalyst substrate or gas diffusion layer as well as the current collecting electrode. 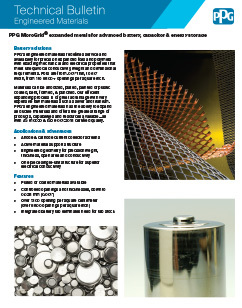 The efficiency advantages of using an expanded product when working with precious metals such as Niobium, Zirconium, Nickel, Silver and Titanium make it a more economical solution over similar perforated or chemically etched products. The unique simultaneous slit & stretch process can yield up to 90% more finished product output than raw material input. The versatility and unique geometry of expanded material provides performance advantages over any other open area product. Have a Battery or Fuel Cell Application? Let us explain how we have helped battery & fuel cell developers specify the right materials for their application. Contact one of our experts and start the conversation!